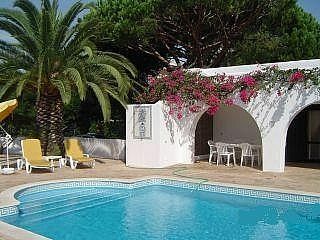 - Private heated swimming pool. 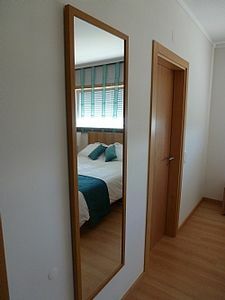 - Master double bedroom with en suite bathroom. 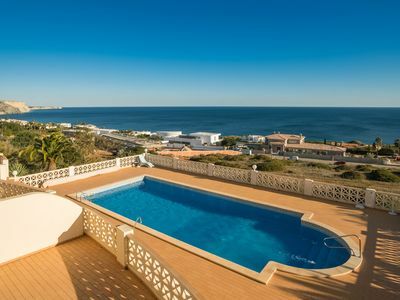 Villathis property is a superb 3 bedroomed villa which has been designed to maximize the stunning, uninterrupted ocean views, particularly from the living room, master bedroom and sun terrace. 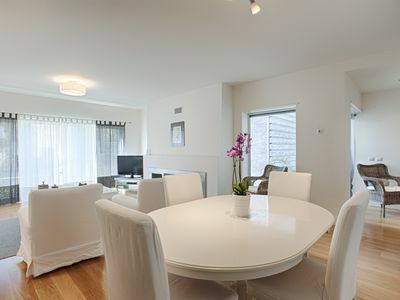 The Living room / Dining room has a Satellite TV, DVD and CD player with a 'Bose' sound system. 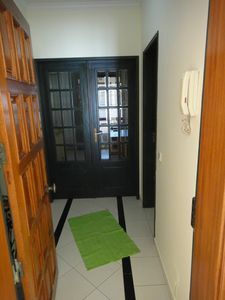 There is a dining area between the kitchen and lounge. 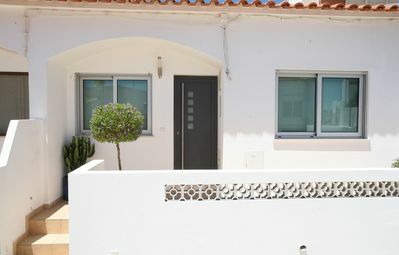 The fully fitted kitchen has an induction hob, microwave, fan oven, dishwasher, fridge/freezer and washing machine. 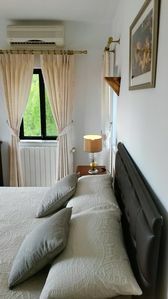 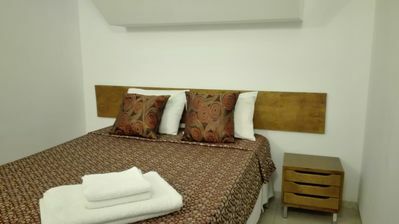 The two double and one twin bedrooms are comfortably furnished with a 6ft bed in the en suite master bedroom. 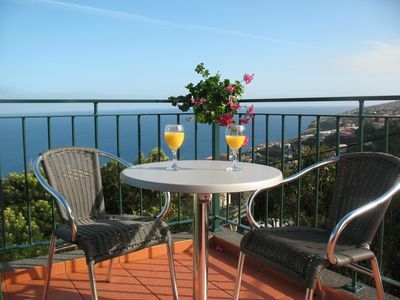 There is a screened roof sun terrace with barbecue and dining furniture so that you can make the most of the ocean views. 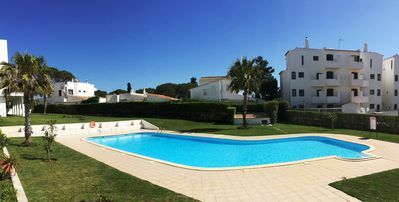 Outside, there is a large garden with a private and sheltered heated swimming pool that has ample decking for the sun loungers. 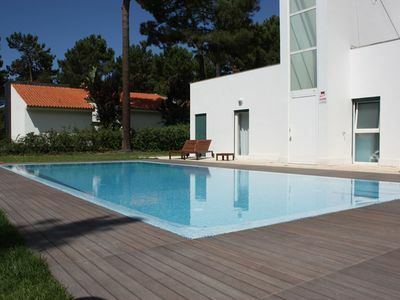 This villa offers high-class comfort in one of the most advantageous positions on the Praia d´el Rey golf resort. 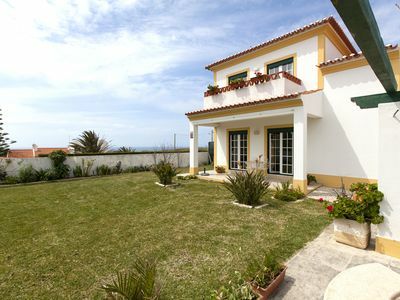 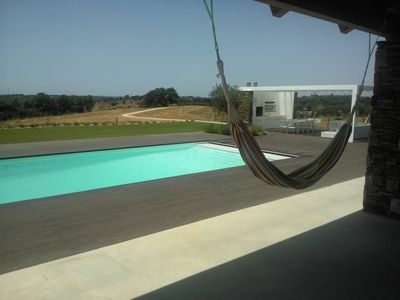 This is a beautiful 3 bedroom property located in Leiria, Portugal. 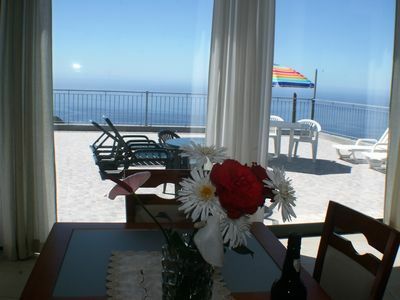 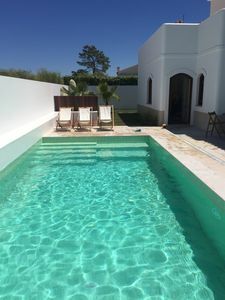 This villa, in Baleal, boasts a gorgeous sea view sleeping 6 people. 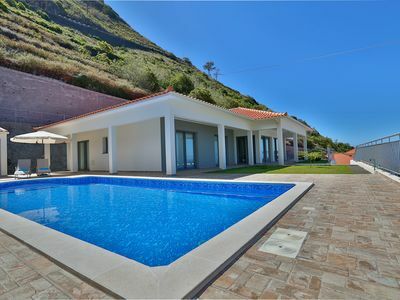 The villa offers superb accommodation, including modern luxuries such as a swimming pool, heated pool, television and internet access.
. An uninterrupted 180º overlooking the Atlantic Ocean. 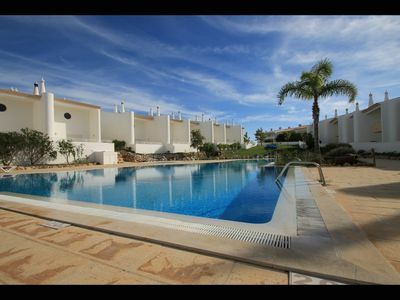 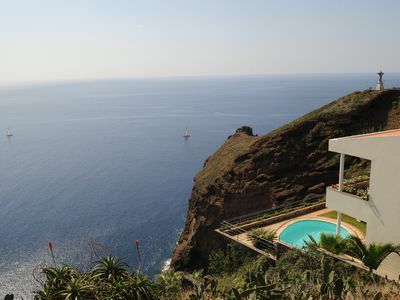 Luxury spacious Villa, great views, amazing pool on private property.